Please provide your contact information. A represenative will contact you directly. 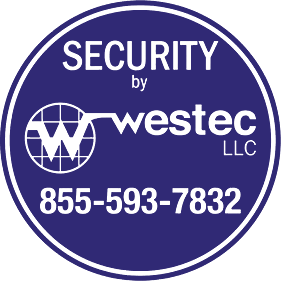 Westec Security, LLC offers a fully satisfying selection of exactly what you need to secure your home or business. From monitoring solutions, fire alarms, burglary alarm, access control, automation intelligent controlled systems, and surveillance. At Westec Security, we protect what you treasure most. Count on our experience to enhance your security lifestyle for your security needs and solutions. Westec Security, LLC provides both home & business security systems to help protect what matters most to them. We at Westec believe that everyone has the right to live in a safe and protected environment. Our staff is comprised of top industry professionals dedicated to bringing you the best security services in the United States. We carry a wide arrange of security products from environmental controls, carbon monoxide, smoke and heat detectors, and surveillance cameras. We also are your source for monitoring, home automation, and surveillance. When it comes to your protection, look to the experts at Westec Security. Westec is dedicated to bringing you extraordinary response and exceptional care. Copyright © 2015 by Westec Security, LLC #AC0-7635. All Rights Reserved.